The Philadelphia personal injury law firm Feldman Shepherd Wohlgelernter Tanner Weinstock Dodig LLP is proud to announce that personal injury attorney and firm partner Roberta D. Pichini has been recognized among the 2011 Lawdragon 500 Leading Lawyers in America. The Lawdragon 500 lists the best of the legal profession nationwide based on a combination of written attorney submissions, online votes, comments through online balloting and editorial research by Lawdragon staff members. A review and rating service for the legal community, including lawyers and judges, Lawdragon reported a record number of nominations and votes from law firms, lawyers and other legal professionals. Pichini has litigated countless cases during her more than 25 years of practice. She represents seriously injured infants, children and adults in medical malpractice matters, such as obstetrical negligence, delayed diagnosis of cancer, emergency room errors and patient abuse by therapists. She also represents victims injured by defective products and by catastrophic auto and boating accidents. Pichini was the first woman in Pennsylvania to be invited into the prestigious International Academy of Trial Lawyers of which she is the first woman president. Pichini has also been invited to join the American College of Trial Lawyers and American Board of Trial Advocates (ABOTA), and is a member of the Million Dollar Advocates Forum. 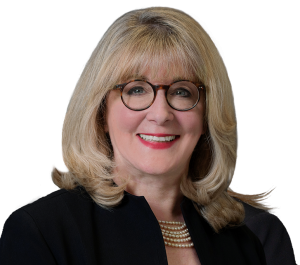 Since its inception, she has been consistently named a Pennsylvania Super Lawyer® by Thomson Reuters, published annually in Philadelphia magazine. In 2007, 2008, 2009 and 2010, Pichini was recognized as a Top 50 Pennsylvania Super Lawyer®, and a Top 100 Philadelphia Super Lawyer®.